I have discussed the watering techniques in the past. Today’s topic will be an extension to that. It is called “Self Watering Containers”. This topic has been requested by one on our reader. I hope this will clear some doubt on this topic. Self Watering Pots are great for gardeners, especially in the warmer climate. As the name suggests the pot is made in such a way that you don’t need to keep an eye on the watering of the plant. Rather it takes the water by itself when required. What is a self-watering Pot? Self-watering containers are a little bit different from your regular container pots. They generally consist of two containers. One is the container where the plant is planted the other one is the water reservoir. 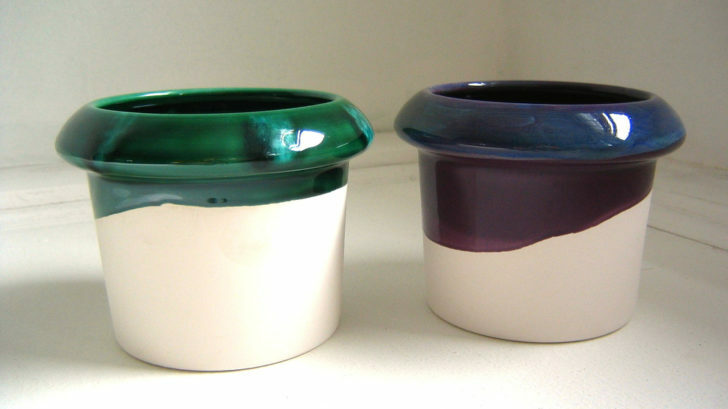 The planting container has a minimum two holes, one for the overflowing of water and the other one is for placing a wick. The wick connects the planting container with the water reservoir, so it keeps the soil moist. Once your pot has been prepared, put the soil into the planting pot and water it. The excess water will go out from the pot through the hole. If you want to know more about watering techniques, check out our earlier article on How to water your plants. After planting your seed or transplant in the pot, you add water to the reservoir. Now when the soil of the container will be dry, the water will go from the reservoir to the planting container. It is a natural way for the plants to soak up the water from the soil rather than to receive it from the top. You can easily cultivate many perennials and annual plants in this method. Though many gardeners cannot think about growing vegetables in self-watering containers, it can be very easy and beneficial to the crop. Plant such as tomato, cabbage, garlic, carrots, cilantro, and other leafy vegetables can be grown easily by this method. This will enable you to make sure that you don’t need to test the soil for dryness you just need to make sure your reservoir never goes dry.nects with the water reservoir, so it keeps the soil moist.uots with the water reservoir. The best plants that thrive in this are those that grow well in moist soil. So it is not a good idea to try this method on plants which are happier to grow in drier soil. I am very happy to realize that many of you people have liked my articles and are sending me valuable inputs. I hope this blog will continue to delight you in the future also. If you have any topics which you want to know more about, mention them in the comment box below.